A Year of Being Here: Mary Oliver: "Clam"
"Clam" by Mary Oliver. Text as published in What Do We Know: Poems and Prose Poems (Da Capo Press, 2002). 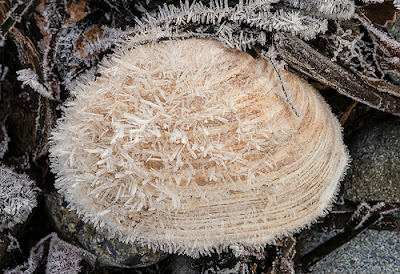 Art credit: "Winter Clam Scene," photograph taken on 1/08/2013 by Roger Golub. Caption: "Ice crystals on Butter Clams." 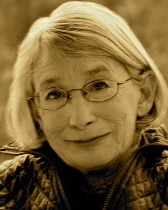 Curator's note: Have you given me the gift of your wisdom yet? Please take my two-minute survey before January 1. It will help me (and any potential publishers) decide upon an anthology of mindfulness poetry.